6.Unique,high-quality ABS plastic, light, solid, switch on the top, battery at the bottom. 10.A good partner of: Mountain climbing, camping, hiking, geological exploration, archeology, Boating, Fishing, Car repairs and other outdoor activities. 11.At home also be used for reading, repair, emergency power, etc. 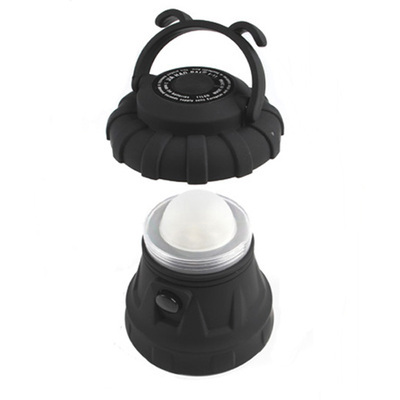 The Portable 10 LED Bivouac Camping Hiking Tent Lantern Light Lamp is with long lasting 10 LED lights providing bright light, weather proof.Powered by batteries, this Led Bivouac Light features low power consumption and long service life.The Portable 10 LED Bivouac Camping Hiking Tent Lantern Light Lamp is a necessary tool for camping, night fishing, hiking and many other outdoor activities.